Next iPad Mini to Feature a Retina Display? 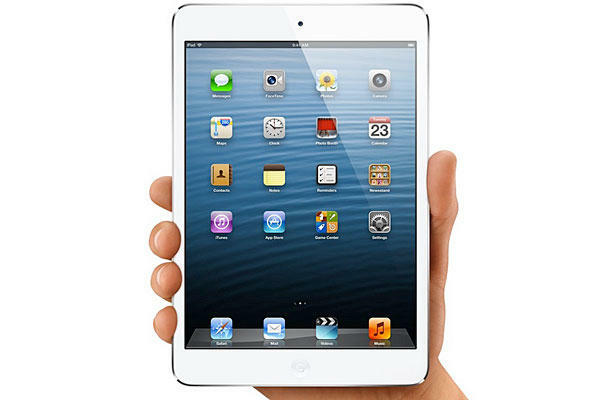 The next-generation iPad Mini, due in 2013, will have a Retina resolution according to a report from DigiTimes. Citing ‘industry sources’, the report indicates that improvements in the next iPad Mini will primarily be made upon the display. Given that the current iPad Mini does not feature Retina-level resolution and several Android competitors already do – the upgrade is a sensible and logical prediction. However, higher resolution displays are more expensive, demand extra processing, graphics and battery power – all reasons why Apple did not introduce the iPad Mini with a Retina display. Some commentators are suggesting that Apple are currently unable to produce the Retina displays at a low enough cost margin to make the step up to HD a profitable one. The report also added that the next generation of the full size 9.7-inch iPad is set to feature an internal lighting restructuring, with a reduction in the number of LED bars from two to one – reducing the overall weight of the iPad. DigiTimes has a mixed record when it comes to predictions about Apple’s upcoming products, however they remain an important source of supply-chain information. Do you expect the next iPad Mini to come with a Retina display? Let us know your thoughts in the comments.